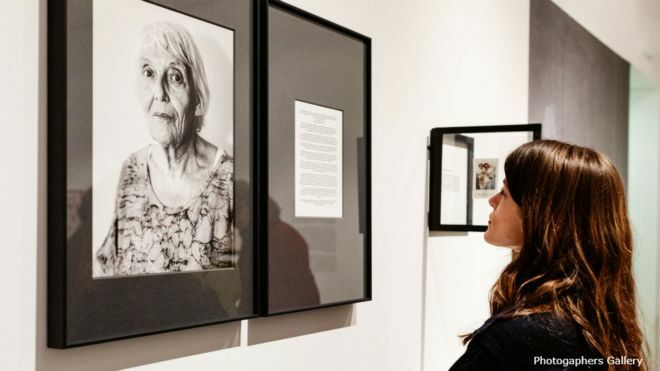 It’s all part of Slow Art Day, an annual global event with some 200 institutions signed up, including Tate Modern, Ashmolean Museum, Photographer’s Gallery, Ulster Museum and Yorkshire Sculpture Park. 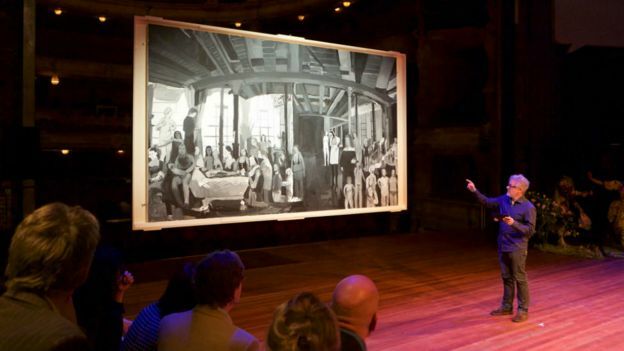 “Many people don’t know how to look at and love art and are disconnected from it,” explains Phil Terry, the founder of Slow Art Day. “Visitors to galleries often see art from their iPads or mobile phones and slow art is an antidote to that. Image captionHow many of these people have actually looked at the paintings properly? 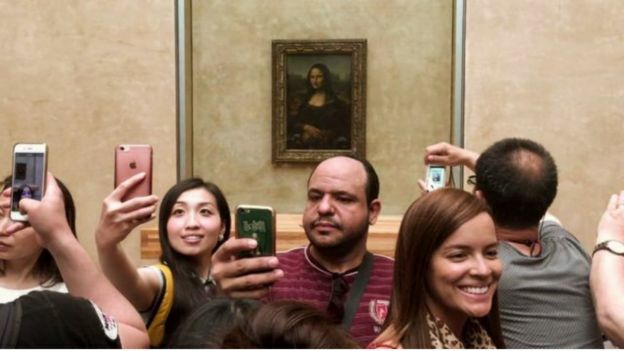 She believes it’s very hard for people in the modern world “to concentrate” and people often “rush around” looking at hundreds of artworks but might actually see none of them. 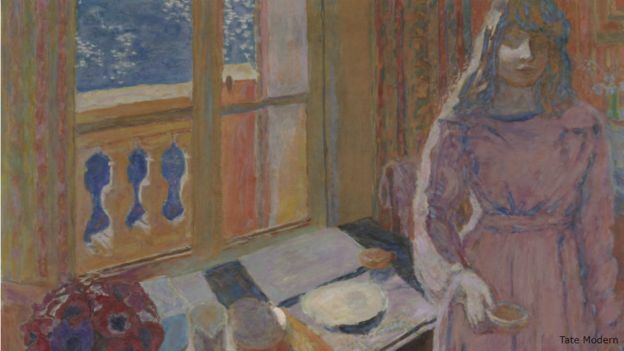 “The more you look the more you see,” points out curator Matthew Gale, who believes the best way of looking at an artwork is to follow where the artist takes you and by looking beyond the picture frame. 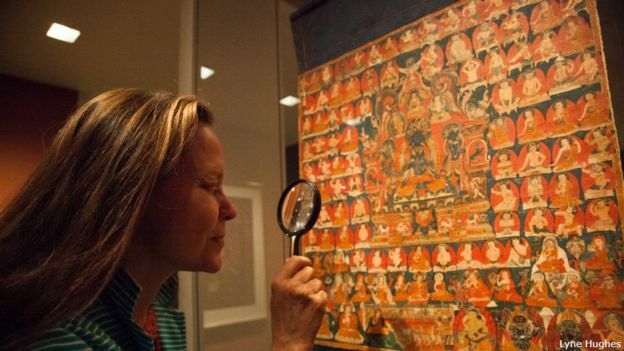 “If you give them the time you will see things that are secret, that can intrigue and raise questions about how the painting was made and what the artist was thinking. 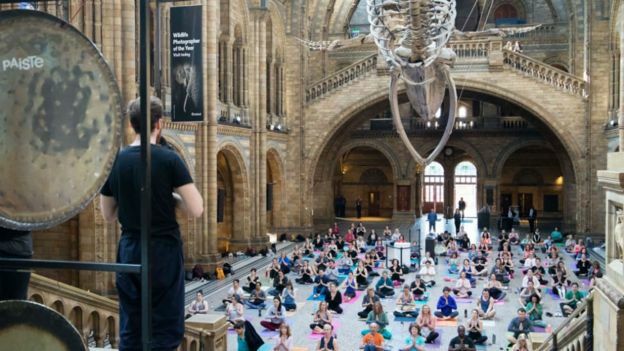 To get people in the mood for slow art, Christie’s, the V&A and the Natural History Museum have been offering yoga and sound meditation baths before visitors step foot into their exhibitions. But rather than putting them in a trance, it’s all about switching on their senses. “When the Natural History Museum was built and founded it was called a cathedral to nature and people used to come in and take their hats off in awe,” says Lucy Woodbridge, head of events at the Natural History Museum, who likens slow art to sacred looking. Five minutes can be a “transformative experience”, according to Phil Terry. For Johan Idema, art entrepreneur and author of How to Visit An Art Museum, it’s not so much about the amount of time we look at a piece of art but how much support we get from galleries looking at it. He says galleries need to “work harder” for people to enjoy slow art by introducing more comfortable seating, having experts at hand to answer questions and even taking art outside the gallery and presenting it on stage like a “slow picture show”, looking at art together. At the Yorkshire Sculpture Park, pieces by Andy Goldsworthy and Ai Weiwei are spaced out in the rolling countryside so that people have the time to reflect and ponder on what they’ve just seen before moving onto the next artwork. In times of uncertainly, slow art outdoors can be “reassuring” and actually “good for us”, points out its director of programme Clare Lilley, who commissions work that demands a second look. Commenting on artist James Turrell’s Skyspace she says, “people come in here with duvets and sleeping bags and they’ll stay in here for an hour or more.